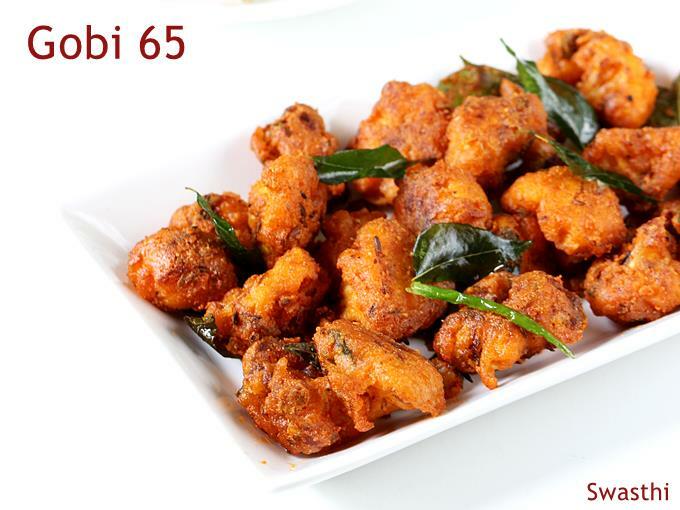 Gobi 65 recipe – 65 recipes are quite popular starters in South Indian restaurants. They originated from Chicken 65. 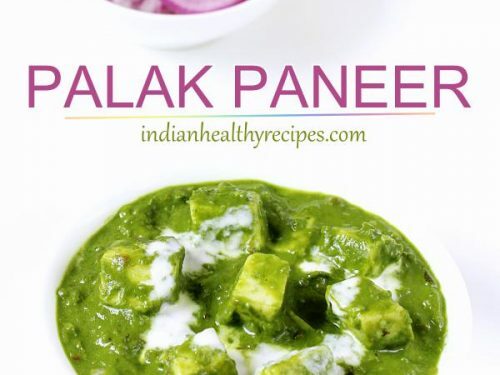 There are many varieties made like Paneer 65, aloo 65. 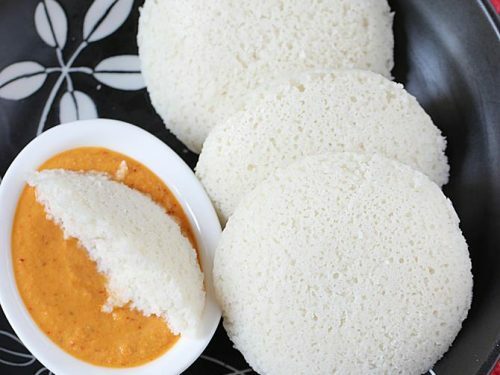 They are served as a evening snack or starter along with other South Indian food. 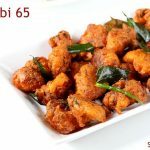 I am sharing 2 recipes of gobi 65 – one is the restaurant style and the second one is a baked recipe. 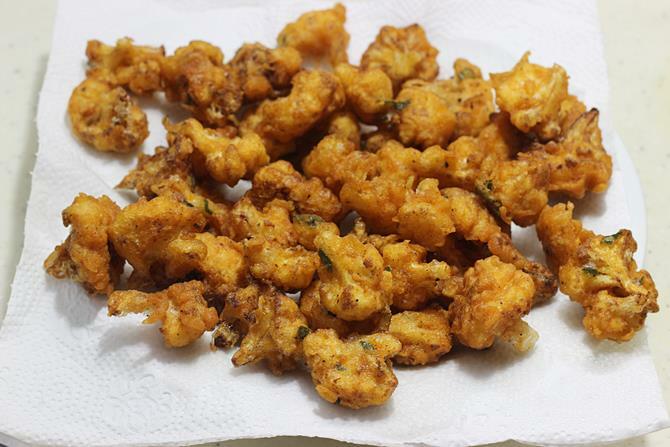 To make gobi 65 recipe, cauliflower florets are batter fried until crisp. Then they are seasoned with a spicy masala. Crisp fried curry leaves, green chilies, spice powder and yogurt bring in a magical aroma to the gobi 65. 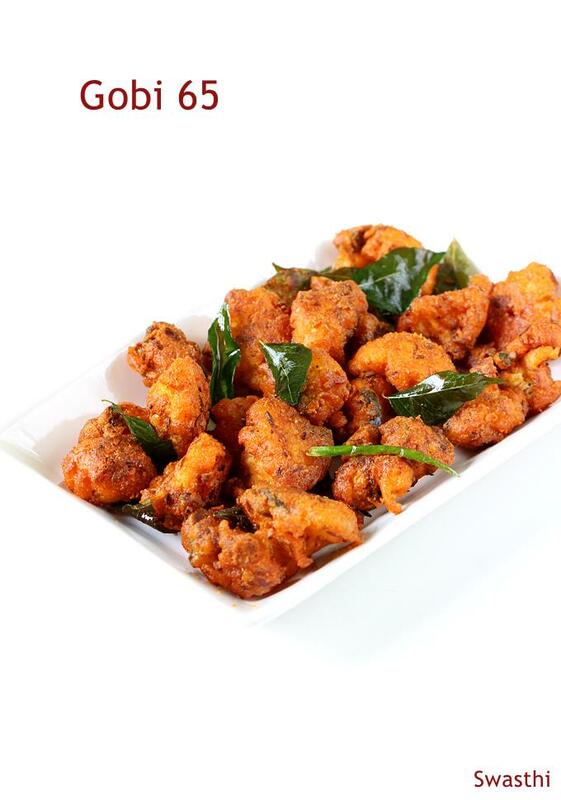 Gobi 65 is a south Indian snack made of fried cauliflower, spices and herbs. It can also be served as a starter or as a side in a meal. 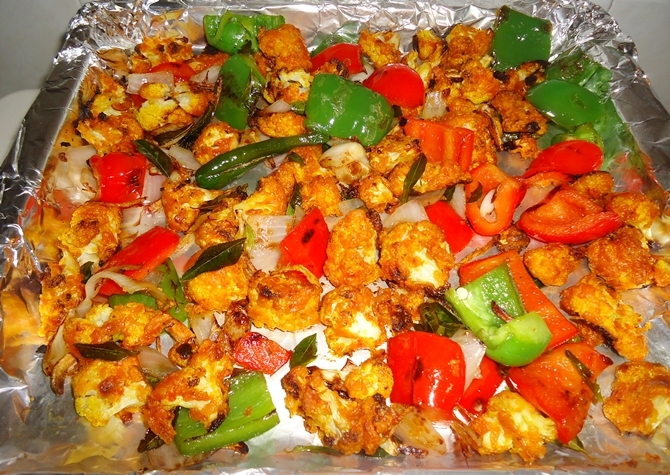 This recipe yields a Andhra style spicy gobi 65. Heat 3 cups water in a pot. Turn off the stove. Drop the cauliflower florets and rest for 2 to 3 mins. Rinse them well and drain completely. Transfer flour, garam masala, salt, red chili powder and ginger garlic to a bowl. Chop 1 sprig curry leaves and add it to the bowl. Pour water and make a batter. The batter must not be too thin or too thick. Add the gobi to the batter. Coat them well. Heat oil in a kadai. When the oil is hot, drop the florets to the pan. Deep fry the gobi on a medium heat till golden and crisp. Set aside to a kitchen towel. Fry 1 sprig curry leaves in the oil. Set this aside for garnishing. Heat 1 tbsp oil in a pan. Fry garlic, chili, curry leaves and cumin. When the curry leaves turn crisp. 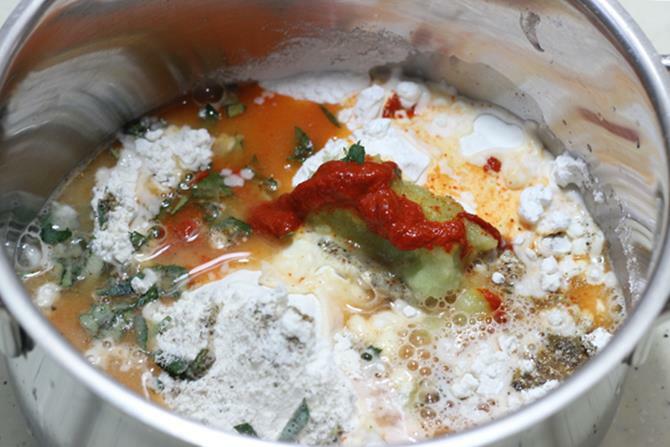 Add yogurt , chili powder , garam masala. Stir and let the mixture cook till it thickens. Add fried cauliflower and saute for 2 to 3 minutes. 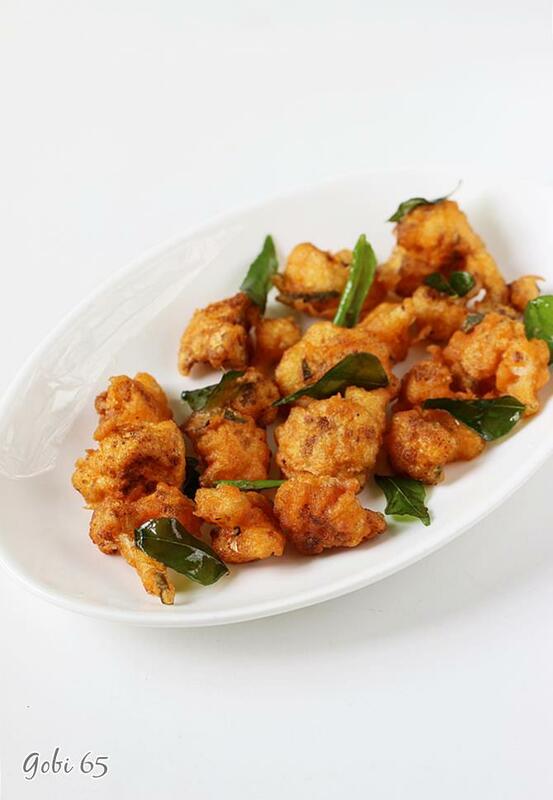 Serve crispy gobi 65 as a starter. 1. 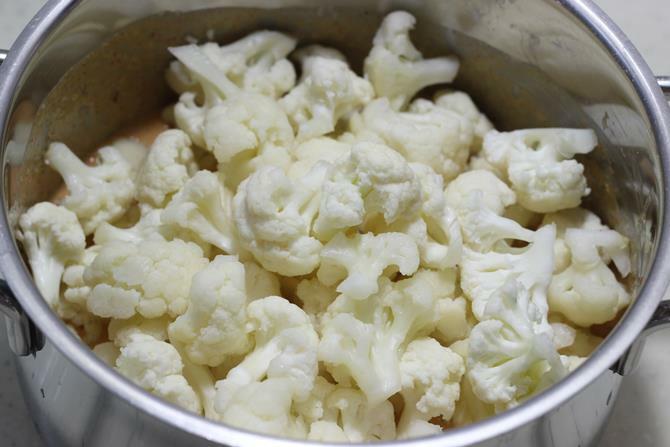 Clean cauliflower florets and add them to hot water. Allow to sit for a while and drain them off and rinse them well in a colander. Set aside. Add flour, salt, ginger garlic paste, garam masala and pepper powder to a bowl. 2. Mix 1 tsp red chili powder with few drops oil and little water. 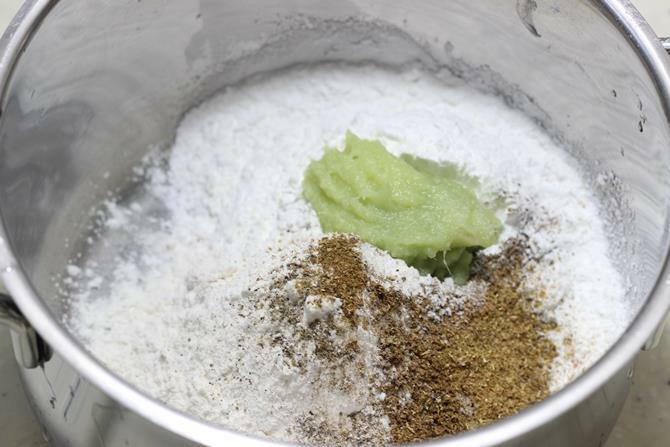 Make a fine paste and add it to the flour. This helps gobi 65 to get a good color. Also add chopped curry leaves. 4. 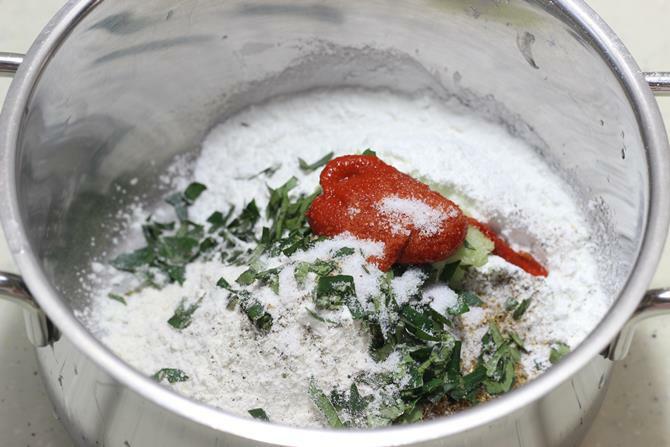 Mix everything well to make a thick batter. 5. Add cauliflower to the bowl. 6. Toss and coat the florets well with batter. 7. Heat oil and deep fry until golden. 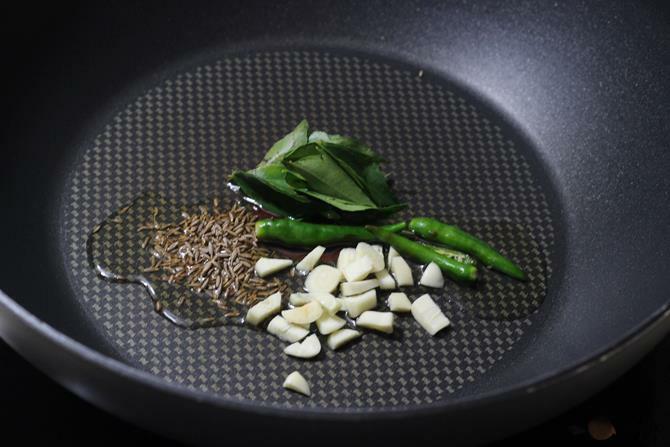 You can also fry some curry leaves and slit deseeded green chilies for garnishing. 8. Drain gobi 65 on a kitchen tissue. 9. 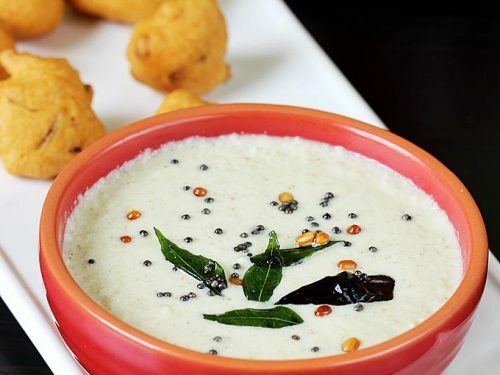 If you do not like to use yogurt for this recipe you can serve after this step after garnishing with curry leaves and green chiles. 10. To make a restaurant style cauliflower 65, heat oil in a pan. 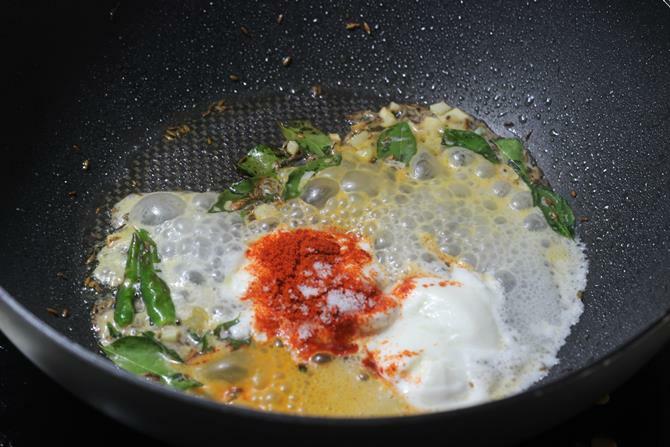 Add cumin to hot oil, when it begins to splutter add curry leaves, slit green chilies and garlic. 11. When the garlic begins to smell good, add yogurt, red chili powder and garam masala. 12. Stir and saute until the mixture thickens. 13. Add fried cauliflower and saute well for 2 minutes. Restaurant style gobi 65 is ready. Gobi 65 recipe with step by step photos – baked cauliflower 65, an healthy kids after school snack recipe. 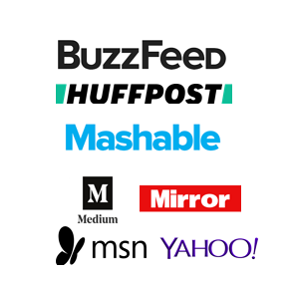 There are so many ways a 65 recipe can be prepared. 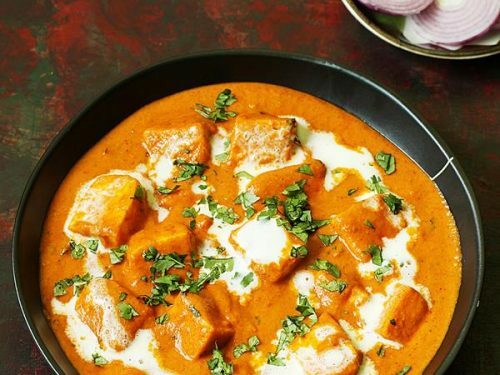 Few recipes use soya sauce or yogurt. 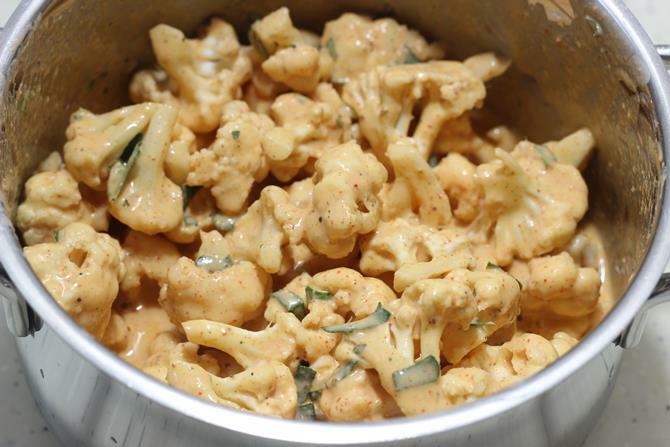 The recipe shared here is a simple gobi 65 without using yogurt or sauce. If you desire you can add it while seasoning. 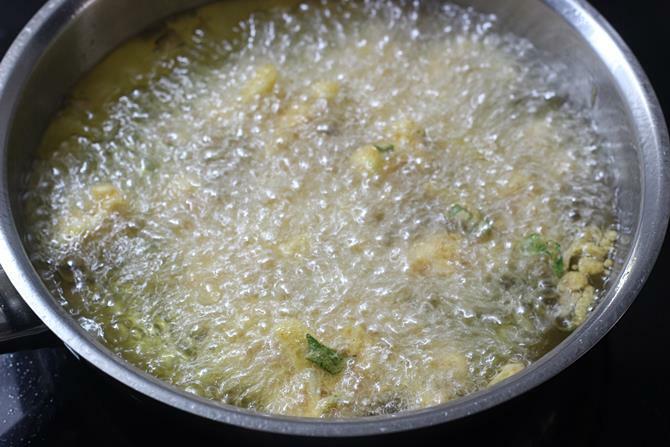 Add cauliflower florets to salted warm water and set aside for 15 minutes. Drain off. Wash and pat dry the cauliflower florets. Marinate them with marination ingredients and set aside for at least 30 mins to 2 hours. Heat oil for deep frying or Grease a baking tray and preheat the oven to 240 C.
Sprinkle the dry flour on the gobi, mix well. Add in the olive oil, mix well. Place these on a baking tray and bake for 20 to 30 mins, time depends on the size of your florets. 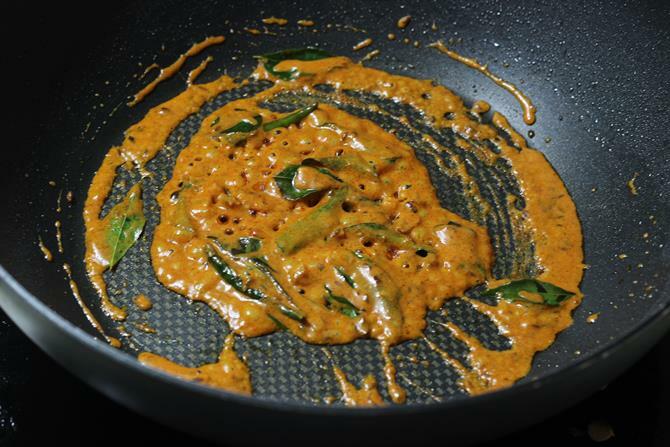 Heat oil in a tawa, add curry leaves and green leaves. Fry till they turn crisp, remove and set aside. Add shredded ginger garlic and fry to get an aroma. Fry on a high flame for 2 to 3 mins or till the capsicum is done. 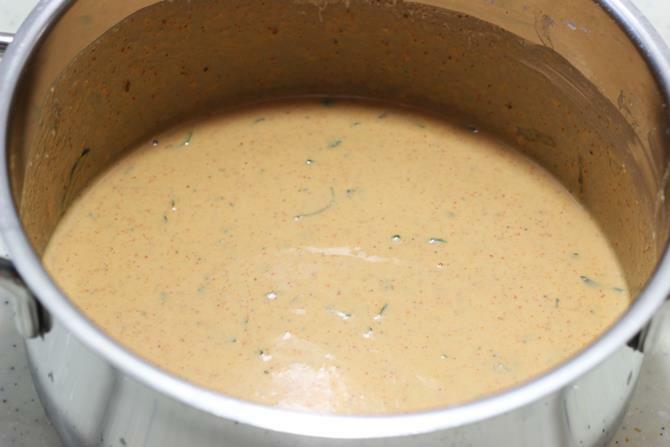 If using yogurt add now, mix and fry for 2 to 3 minutes. 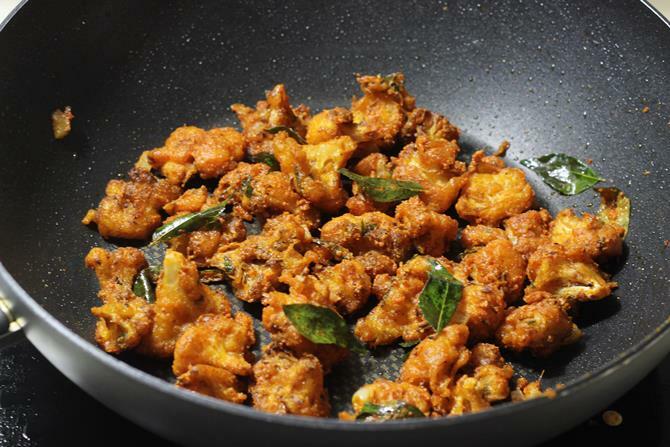 Add in baked gobi , curry leaves, chili and mix well and fry for 2 mins on high flame. Gobi 65 is ready to serve as starter. It is an absolutely brilliant recipe.Hands down one of the best cauliflower recipes.Its super easy to make and it is absolutely delicious. You are an amazing chef!!!! Glad to know it turned out good. Thank you so much for the comment. 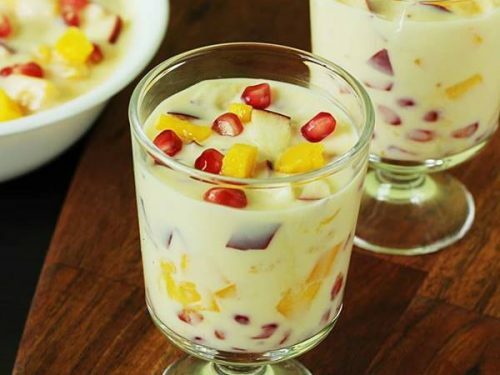 Very nice your Gopi 65 recipes. Mince chicken version do we have to deep fry before batter? Very good! Tried the baked version. Excellent. 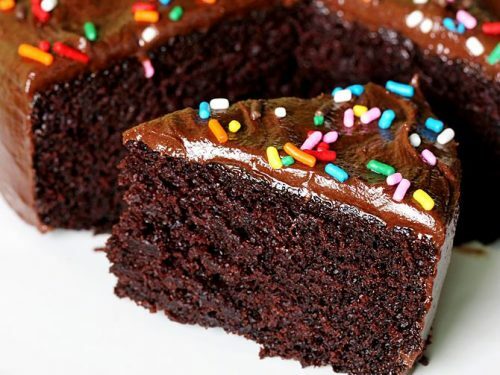 Thank you for your wonderful recipes. Really appreciate your time and effort in helping us novices. In method 1 – you mention 1 large cauliflower but not sure how many cups would that be? 3? Yes. It should be about 2 1/2 to 3 cups. To day i try your recipe for gopi 65 very very super taste super no words thanks for you recipes swasthi…. It’s a wonder full resipe……thank u soo much….. So glad to know you all loved it. Thanks for the feedback. 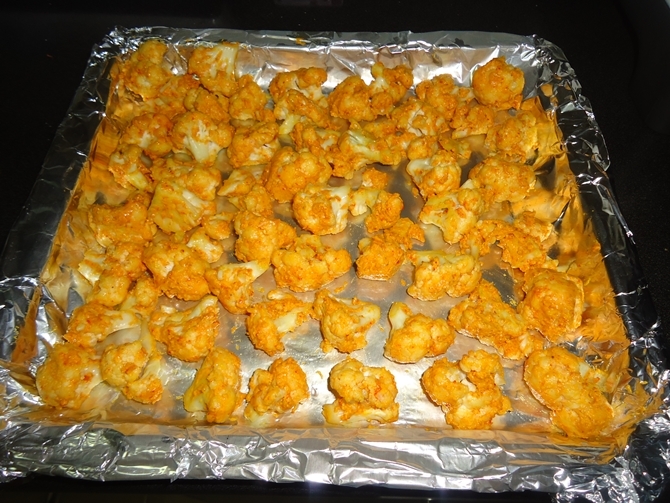 GOBI 65/ baked cauliflower 65, an healthy kids after school snack recipe. was AWESOME. All of them really enjoyed this recipe. Next time I’m going to try restaurant style gobi 65 recipe. I am so glad you tried it and liked it as well. Glad to know it turned out nice.